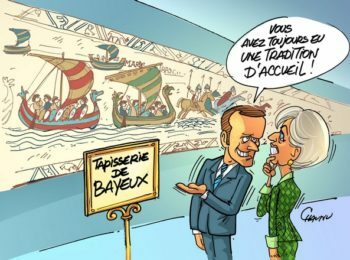 On April 10, 2019, the City of Bayeux received an exceptional donation from the descendants of Herbert JESCHKE, a Berlin-based artist sent to Normandy during the Second World War, to make graphic and colorimetric surveys of the Bayeux Tapestry. This unpublished documentary collection, consisting of sketchbooks, notes and black and white clichés, will integrate the museum's collections and will enrich the historical and scientific knowledge of millenary embroidery. Specialized in the analysis and reproduction of colors, Herbert JESCHKE (1900 – 1964) was commissioned in 1941 in Bayeux to join a team of researchers from the Ahnenerbe. Created by HIMMLER and led by Herbert JANKUHN, this scientific institute was to work on the study and analysis of sites and objects potentially related to the “Aryan heritage” that the Third Reich wanted to promote. Like the entire Ahnenerbe campaign, this work has been forgotten and never published. 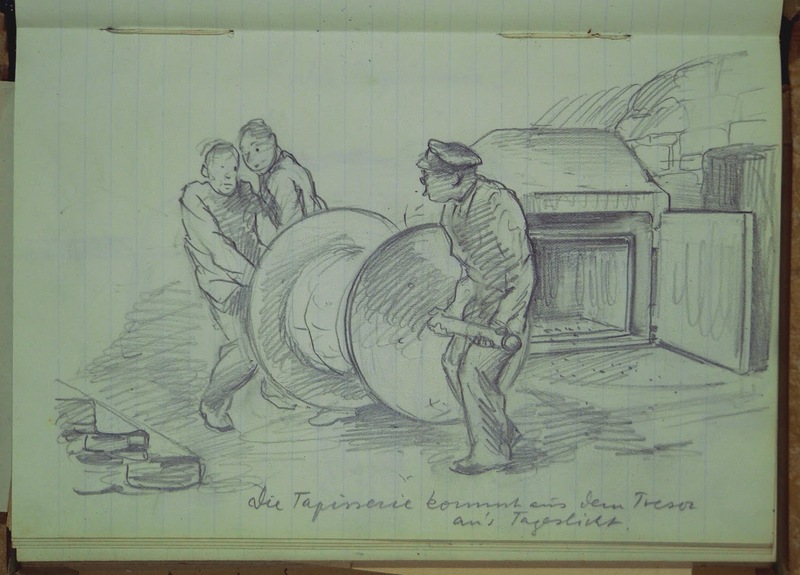 The 4 notebooks of sketches and surveys, the fifteen layers with watercolor reproductions of motifs of the Tapestry, the sketches of Bayeux and its inhabitants and fifty black and white shots taken in 1941 have so far remained in the family patrimony JESCHKE. Gertrud, Gerhard and Herbert, the artist’s children, today wish to donate it to the City of Bayeux and its museum, guardian of the 11th century embroidery. This unpublished documentary collection, consisting of sketchbooks, notes and black and white clichés, integrates the museum’s collections and enriches the historical and scientific knowledge of millenary embroidery. These surveys are a new source of information for ongoing studies for the future Museum of the Bayeux Tapestry. In particular, conservators will be able to follow the evolution of the state of conservation of the Tapestry since the 1940s.